Holy lunar photobomb, Batman! 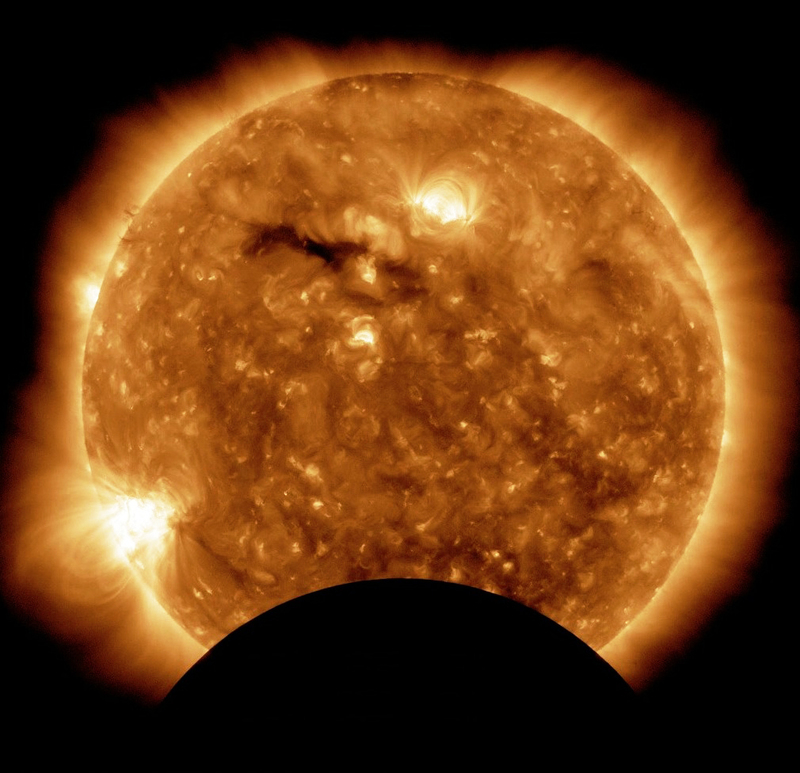 In another brief occultation event the Moon snuck in front of SDO’s cameras on Saturday, November 6, this time passing across the orbiting observatory’s view of the Sun’s southern pole and southeastern limb in a diagonal motion. This happened previously on October 7… seems like the Moon doesn’t much like being upstaged! The image above was taken by SDO’s AIA 193 camera, which is sensitive to light from iron ions in the Sun’s super-hot corona. Image: SDO (NASA) and the AIA consortium.